Since our beginnings in 2012, EBANX has drastically grown in size and scope, surpassing in 2016 the BRL 1 billion processed mark, becoming one of the largest payment processors in Latin America. A privileged position that demands from us nothing less than the most prominent information security standards. 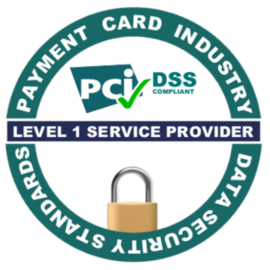 PCI-DSS, the Payment Card Industry Data Security Standard. Its primary purpose is to reduce the risk of payment card (debit and credit) data loss by preventing, detecting, and reacting to potential breaches or hacks that could lead to an account data compromise. Information security management at EBANX is at the very heart of our business. As it is essential to our reputation as the payment processor of choice of numerous SMEs and global merchants, leaders of their respective industries like AliExpress, Spotify, Wish, Motorola & Airbnb. For that reason, in 2015, EBANX Executives decided to comply with the most rigorous standards in the credit card processing business: PCI-DSS. After an exhaustive evaluation of our transaction and data security systems against the requirements of PCI-DSS compliance by our Qualified Security Assessor – Cipher. A certification that applies for payment providers with the largest credit card processing volume, a milestone we celebrate as a reward to our relentless work in keeping EBANX in full adherence to the norms & guidelines to guarantee the safest possible operating environment. Put simply, PCI-DSS compliance is a confirmation that EBANX is in shape to keep growing its business, and capable of safely expanding the volume of online transactions for merchants of all sizes and across all industries that want to do business in Latin America. To our merchants, EBANX PCI-DSS compliance means giving their customers extra confidence and reducing their growing concerns of card fraud. At EBANX, we are pursuing an even more comprehensive information security strategy. For this reason we have started to evaluate the ISO27001 certification, aiming to strengthen our current information security strategy.